Children of the Sun Academic Center asks that all tuition and fees are paid on time. Once a family has enrolled into the program a Parent Handbook will be given to the family that will outline policies and procedures related to monthly tuition and pick up, annual registration fee and school calendar. The Chicago Public School Selective Enrollment prep sessions are opened to the public and are optional for children enrolled in there program. Monthly tuition at Children of the Sun Academic Center is $750. Tuition must be paid in accordance with the schools monthly payment schedule that is given at the time of enrollment. Each year Children of the Sun Academic Center participates in a Science & Reading Summer Enrichment Program. 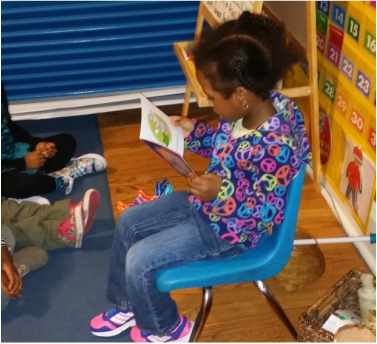 The program is in collaboration with Chicago's Public Library Summer Reading Program. During this time children will attend at least 6 weekly field trips that correlates with in-class discussions and activities. Monthly tuition covers general admission, transportation and materials needed for each weekly study. The Summer Enrichment Program runs from mid June-July. An annual registration fee of $75 per child is required by the end of the school year. This fee covers the child's field trip t-shirt, annual school supplies and material, sketch pad and writing journal. Although Children of the Sun Academic Center implements a rigorous academic program that is year-round, we understand that most children enter the program at different ages and without any former academic exposure. If this is the case for your child and (s)he will be entering kindergarten in the fall, it is highly recommended that you sign up for Selective Enrollment (SE) prep testing. SE prep test sessions run from September-December and cost $575. Sessions are held on Saturdays only, there are 8 sessions that covers reading, math and critical/logical thinking. The duration of each session is an hour.